Krossa, S., Scheidig, A.J., Grötzinger, J., Lorenzen, I. (2018). Redundancy of protein disulfide isomerases in the catalysis of the inactivating disulfide switch in A Disintegrin and Metalloprotease 17. Sci Rep. 8:1103. doi: 10.1038/s41598-018-19429-4. Kalimuthu, P., Havemeyer, A., Clement, B., Kubitza, Ch., Scheidig, A.J. and Bernhardt, P. (2017). Human mitochondrial amidoxime reducing component (mARC): An electrochemical method for identifying new substrates and inhibitors. Electrochem. Comm. 84, 90-93. Rauh, O., Hansen, U. P., Mach, S., Hartel, A. J. W., Shepard, K. L., Thiel, G., and Schroeder, I. (2017) Extended beta distributions open the access to fast gating in bilayer experiments-assigning the voltage-dependent gating to the selectivity filter. FEBS Lett 591, 3850-3860. Kisiela, M., Faust, A., Ebert, B., Maser, E. and Scheidig, A.J. (2017) Crystal structure and catalytic characterization of the dehydrogenase/reductase SDR family member 4 (DHRS4) from Caenorhabditis elegans. FEBS J. 285:275-293. doi: 10.1111/febs.14337. Schäfer, M., Granato, D.C., Krossa, S., Bartels, A.K., Yokoo, S., Düsterhöft, S., Koudelka, T., Scheidig, A.J., Tholey, A., Paes Leme, A.F., Grötzinger, J. and Lorenzen, I. (2017). GRP78 protects a disintegrin and metalloprotease 17 against protein-disulfide isomerase A6 catalyzed inactivation. FEBS Lett 591: 3567-3587. Riethmueller, S., Somasundaram, P., Ehlers, J.C., Hung, C.W., Flynn, C.M., Lokau, J., Agthe, M., Düsterhöft, S., Zhu, Y., Grötzinger, J., Lorenzen, I., Koudelka, T., Yamamoto, K., Pickhinke, U., Wichert, R., Becker-Pauly, C., Radisch, M., Albrecht, A., Hessefort, M., Stahnke, D., Unverzagt, C., Rose-John, S., Tholey, A. and Garbers, C. (2017). Proteolytic Origin of the Soluble Human IL-6R In Vivo and a Decisive Role of N-Glycosylation. 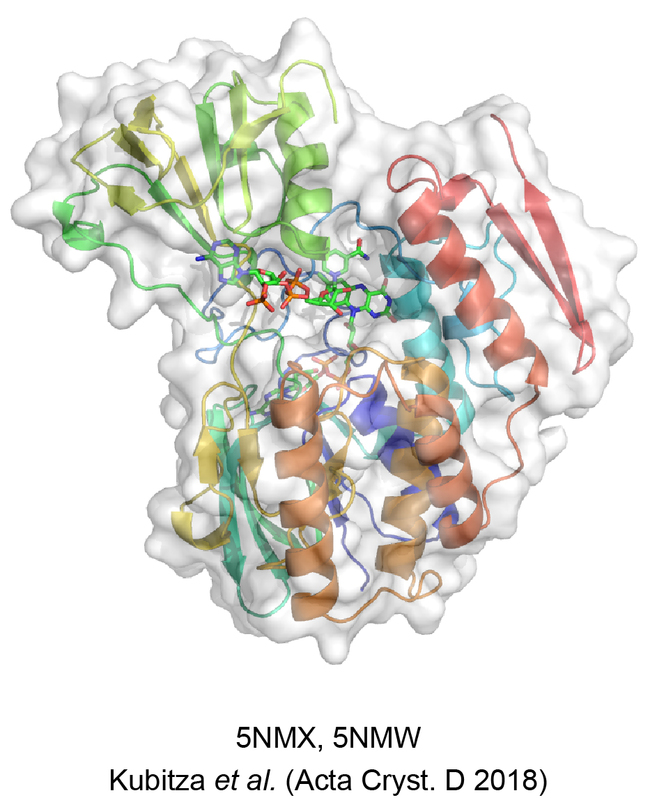 PLoS Biol 15,: e2000080. Zhang, R., Wu, L., Eckert, Th., Burg-Roderfeld, M., Rojas-Macias, M.A., Lütteke, Th., Krylov, V.B., Argunov, D.A., Datta, A., Markart, P., Guenther, A., Norden, B., Schauer, R., Bhunia, A., Abdelaziz Enani, M., Billeter, M, Scheidig, A.J., Nifantiev, N.E. & Siebert, H.C. (2017). 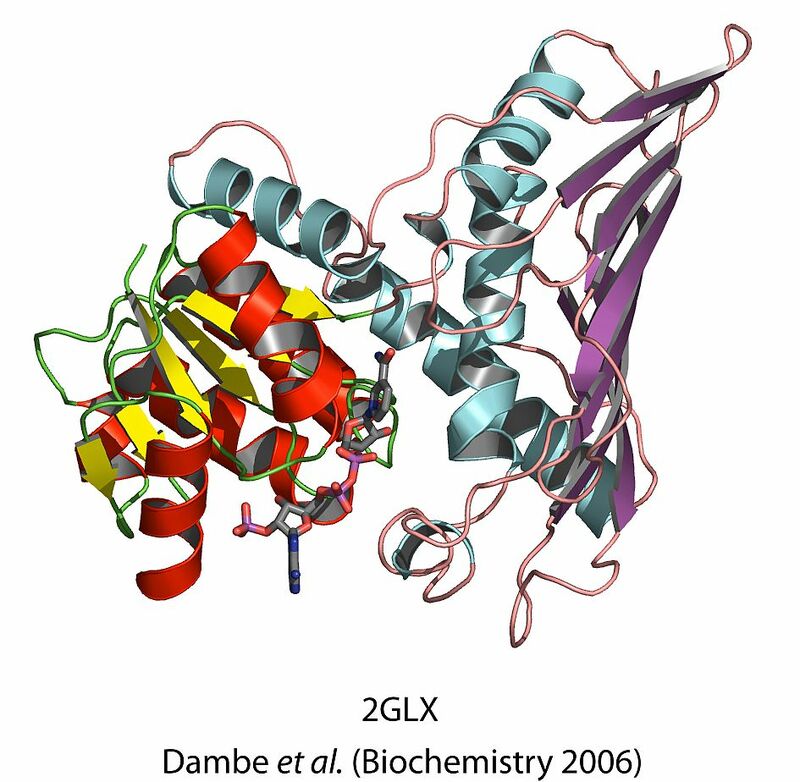 Lysozyme’s lectin-like characteristics facilitates its immune defense function. Quart. Rev. Biophys. 50, e9, 1-12. Lorenzen, I., Lokau, J., Korpys, Y., Oldefest, M., Flynn, C.M., Künzel, U., Garbers, C., Freeman, M., Grötzinger, J. and Düsterhöft, S. (2016). Control of ADAM17 activity by regulation of its cellular localisation. Sci Rep 6, : 35067. Weiße, R.H., Faust, A., Schmidt, M., Schönheit, P. & Scheidig, A.J. (2016). Structure of NDP-forming Acetyl-CoA synthetase ACD1 reveals a large rearrangement for phosphoryl transfer. Proc. Natl. Acad. Sci. U. S. A. 6, 21029-21045. PMID: 26787904. Krossa, S., Faust, A., Ober, D. & Scheidig, A.J. (2016). Comprehensive Structural Characterization of the Bacterial Homospermidine Synthase-an Essential Enzyme of the Polyamine Metabolism. Sci. Rep. 6, 19501-. PMID: 26776105. Zhang, R., Eckert, T., Lutteke, T., Hanstein, S., Scheidig, A.J., Bonvin, A.M., Nifantiev, N.E., Kozar, T., Schauer, R., Enani, M.A. & Siebert, H.C. (2016). Structure-Function Relationships of Antimicrobial Peptides and Proteins with Respect to Contact Molecules on Pathogen Surfaces. Curr. Top. Med. Chem. 16, 89-98. PMID: 26139116. Krossa, S., Schmitt, A.D., Hattermann, K., Fritsch, J., Scheidig, A.J., Mehdorn, H.M. & Held-Feindt, J. (2015). Down regulation of akirin-2 increases chemosensitivity in human glioblastomas more efficiently than twist-1. Oncotarget 6, 21029-21045. Knerlich-Lukoschus, F., Krossa, S., Krause, J., Mehdorn, H.M., Scheidig, A.J. & Held-Feindt J. (2015). Impact of chemokines on the properties of spinal cord-derived neural progenitor cells in a rat spinal cord lesion model. J. Neurosci. Res. 93, 562-571. Altmeyer, M., Amtmann, E., Heyl, C., Marschner, A., Scheidig, A.J. & Klein, C.D. (2015). Beta-aminoketones as prodrugs for selective irreversible inhibitors of type-1 methionine aminopeptidases. Bioorg. Med. Chem. Lett. 24, 5310-5314. DiFrancesco ML, Hansen UP, Thiel G, Moroni A, Schroeder I. (2014). Effect of Cytosolic pH on Inward Currents Reveals Structural Characteristics of the Proton Transport Cycle in the Influenza A Protein M2 in Cell-Free Membrane Patches of Xenopus oocytes. PLoS One. 9(9): e107406. doi: 10.1371/journal.pone.0107406. Schu, M., Faust, A., Stosik, B., Kohring, G.-W., Giffhorn, F. & Scheidig, A.J. (2013). The structure of substrate-free 1,5-anhydro-D-fructose reductase from Sinorhizobium meliloti 1021 reveals an open enzyme conformation. Acta Crystallogr. F69, 844-849. Schroeder, I., Thiel, G. & Hansen, U.-P. (2013). Ca2+ block and flickering both contribute to the negative slope of the IV curve in BK channels. J. Gen. Physiol. 141, 499–505. Schroeder, I., Gazzarrini, S., Ferrara, G., Thiel, G., Hansen & U.-P. Moroni, A. (2013). Creation of a ROS-insensitive Kcv channel. Biochemistry 52, 3130-3137. Bräutigam, J., Scheidig, A.J. & Egge-Jacobsen, W. (2013). Mass spectrometric analysis of hepatitis C viral envelope protein E2 reveals extended microheterogeneity of mucin-type O-linked glycosylation. Glycobiology 23, 453-474. Frerichmann, S.L., Kirchhoff, M., Müller, A.E., Scheidig, A.J., Jung, C. & Kopisch-Obuch, F.J. (2013). EcoTILLING in Beta vulgaris reveals polymorphisms in the FLC-like gene BvFL1 that are associated with annuality and winter hardiness. BMC Plant Biol. 13, 52-. Hoeppner, A., Thomas, F., Rueppel, A., Hensel, R., Blankenfeldt, W., Bayer, B. & Faust, A. (2012). Structure of the corrinoid:coenzyme M methyltransferase MtaA from Methanosarcina mazei. Acta Crystallographica D 68, 1549-1557. Plieth, C. & Vollbehr, S. (2012). Calcium promotes activity and confers heat stability on plant peroxidases. Plant Signaling & Behavior 7, 650-660. Plieth, C. (2012). Apoplastic calcium executes a shut-down function on plant peroxidases - a hypothesis. Plant Signaling & Behavior 7, 678-681. Masood, S., Saleh, L., Witzel, K., Plieth, C. & Muehling K. H. (2012). Determination of oxidative stress in wheat leaves as influenced by boron toxicity and NaCl stress. Plant Physiology and Biochemistry 56, 56-61. Brauser, A., Schroeder, I., Gutsmann, Th., Cosentinok, C., Moroni, A., Hansen, U.-P. & Mathias Winterhalter, M. (2012). Modulation of enrofloxacin binding in OmpF by Mg2+ as revealed by the analysis of fast flickering single-porin current. J. Gen. Physiol. 140, 69–82. Zander, U., Faust, A., Klink, B. U., de Sanctis, D., Panjikar, S., Quentmeier, A., Bardischewsky, F., Friedrich, C. G. & Scheidig, A. J. (2011). Structural Basis for the Oxidation of Protein-bound Sulfur by the Sulfur Cycle Molybdohemo-Enzyme Sulfane Dehydrogenase SoxCD. J. Biol. Chem. 286, 8349-8360. Klink, B.U. & Scheidig, A.J. (2010). 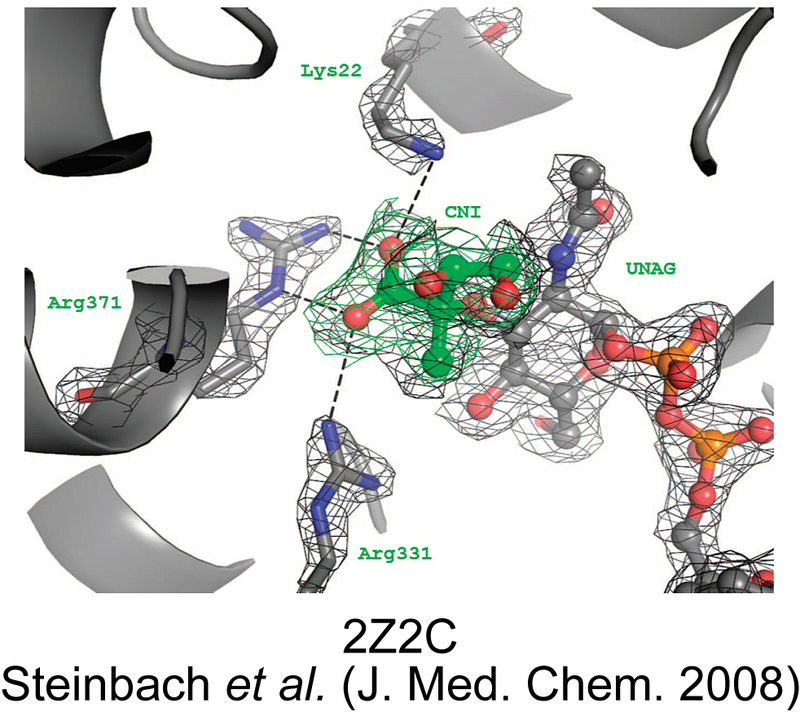 New insight into the dynamic properties and the active site architecture of H-Ras p21 revealed by X-ray crystallography at very high resolution. BMC Structural Biology 10, 38. Petrareanu, G., Balasu, M.C., Zander, U., Scheidig, A.J. & Szedlacsek, S.E. (2010). Preliminary X-ray crystallographic analysis of the D-xylulose 5-phosphate phosphoketolase from Lactococcus lactis. Acta Cryst. F66, 805-807. Saleh, L. & Plieth, C. (2010). A coelenterazine-based luminescence assay to quantify high-molecular-weight superoxide anion scavenger activities. Nat. Protocols 5, 1635-1641. Saleh, L. & Plieth, C. (2010). Total low-molecular-weight antioxidants as a summary parameter, quantified in biological samples by a chemiluminescence inhibition assay. Nature Protocols 5, 1627-1634. Plieth, C. (2010). Signal percolation through plants and the shape of the calcium signature. Plant Signaling & Behavior 5, 379-385. Faust, A., Puehringer, S., Darowski, N., Panjikar, S., Diederichs, K., Mueller, U. & Weiss, M.S. (2010). Update on the tutorial for learning and teaching macromolecular crystallography. J. Appl. Cryst. 43, 1230-1237. Carius, Y., Christian, H., Faust, A., Zander, U., Klink, B.U., Kornberger, P.,Kohring, G.W., Giffhorn, F. & Scheidig, A.J. (2010). 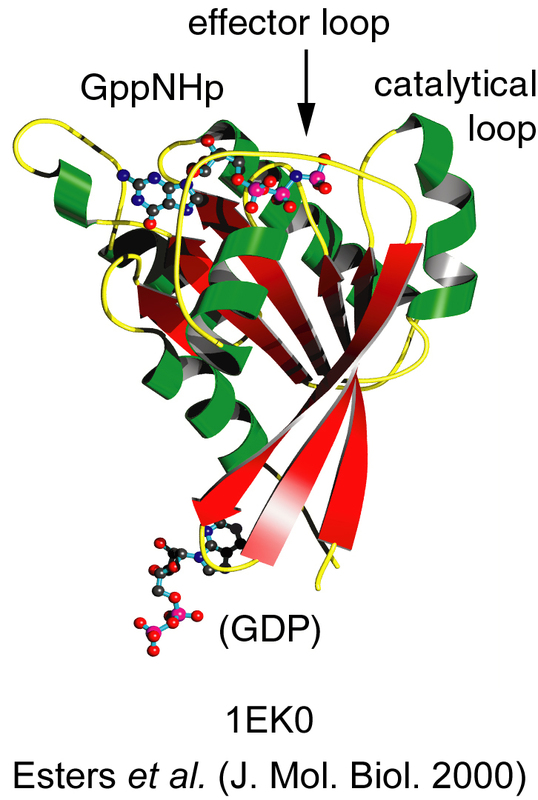 Structural insight into substrate differentiation of the sugar-metabolizing enzyme galactitol dehydrogenase from Rhodobacter sphaeroides D. J. Biol. Chem. 285, 20006-20014. Balasu, M.C., Spiridon, L.N., Miron, S., Craescu, C.T., Scheidig, A.J., et al. (2009). Interface Analysis of the Complex between ERK2 and PTP-SL. PLoS ONE 4(5): e5432. doi:10.1371/journal.pone.0005432. Schroeder,I. & Hansen,U.P. (2009). Using a five-state model for fitting amplitude histograms from MaxiK channels: beta-distributions reveal more than expected. Eur. Biophys. J. 38, 1101-1114. Schroeder,I. & Hansen,U.P. (2009). Interference of shot noise of open-channel current with analysis of fast gating: patchers do not (Yet) have to care. J. Membr. Biol. 229, 153-163. Saleh, L. & Plieth, C. (2009). Fingerprinting antioxidative activities in plants. Plant Methods 5, 2. Nagel-Volkmann, J., Plieth, C., Becker, D., Luethen, H. & Doerffling, K. (2009). Cold-induced cytosolic free calcium ion concentration changes in wheat. Journal of Plant Physiology 166, 1955-1960. Carius, Y., Rother, D., Friedrich, C.G. & Scheidig, A.J. (2009). 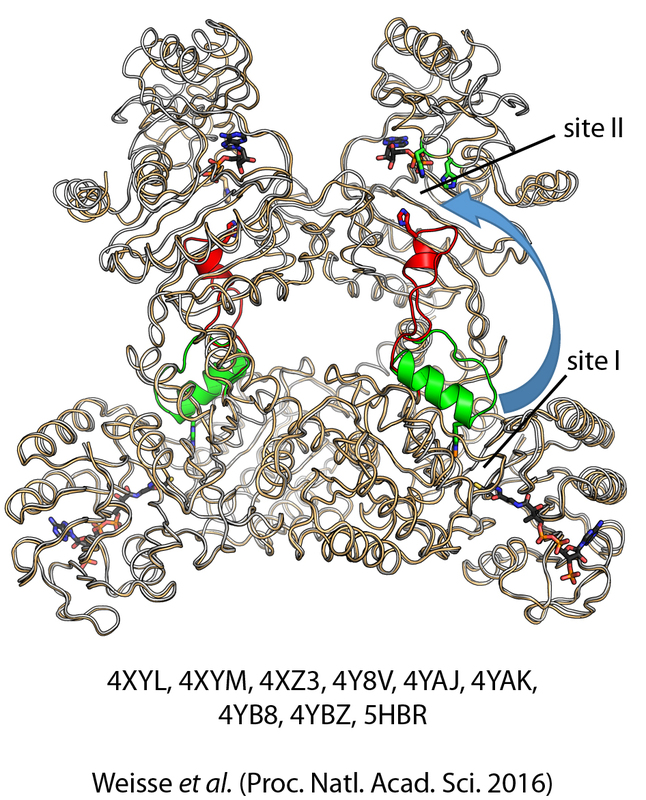 Crystal structure of the periplasmic thiol-disulfide oxidoreductase SoxS from Paracoccus pantotrophus indicates a triple Trx/Grx/DsbC functionality in chemotrophic sulfur oxidation. Acta Crystallogr. D 65, 229-240. Steinbach, A., Scheidig, A.J. & Klein, C.D. (2008). 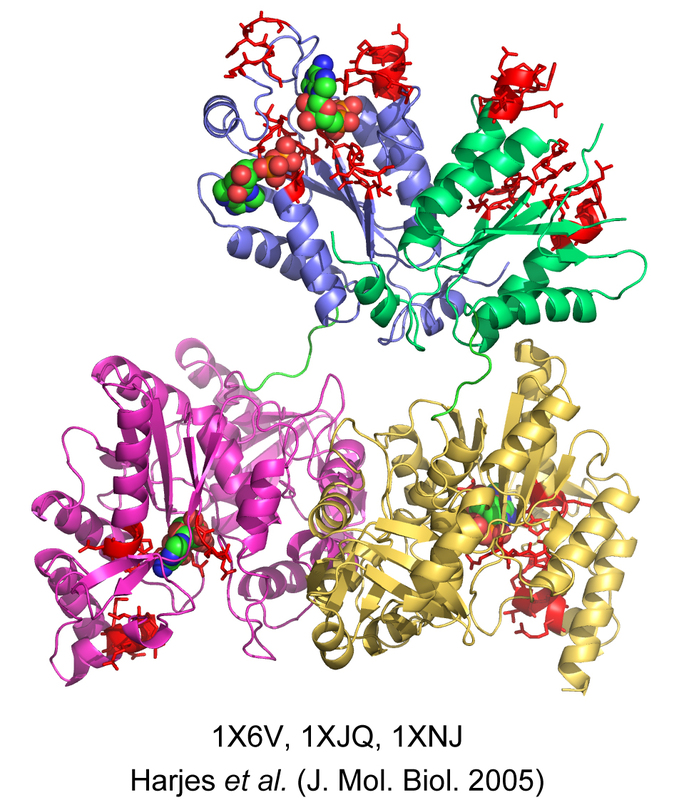 The unusual binding mode of cnicin to the antibacterial target enzyme MurA revealed by X-ray crystallography. J. Med. Chemistry, . J. Med. Chemistry, 51, 5143-5147. Faust, A., Panjikar, S., Muller, U., Parthasarathy, V., Schmidt, A., Lamzin, V.S. & Weiss, M.S. (2008). A tutorial for learning and teaching macromolecular crystallography. J. Appl. Cryst. 41, 1161-1172. Schroeder,I. & Hansen,U.P. (2008). Tl+-induced micros gating of current indicates instability of the MaxiK selectivity filter as caused by ion/pore interaction. J. Gen. Physiol. 131, 365-378. Welsch, C., Albrecht, M., Maydt, J., Herrmann, E., Welker, M.W., Sarrazin, C., Scheidig, A.J., Lengauer, T. & Zeuzem, S. (2007). 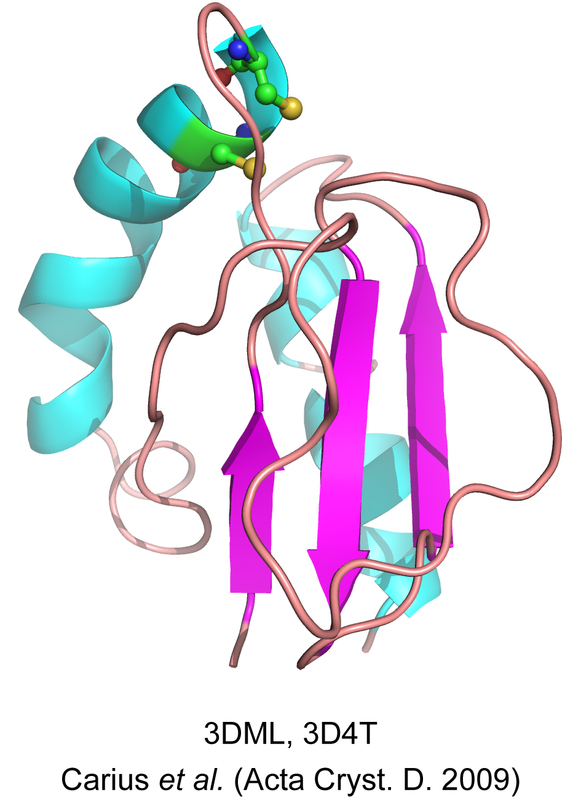 Structural and functional comparison of the non-structural protein 4B in flaviviridae. J. Mol. Graph. Model. 26, 546-557. Pljevaljcic, G., Schmidt, F., Scheidig, A.J., Lurz, R. & Weinhold, E. (2007). Quantitative Labeling of Long Plasmid DNA with Nanometer Precision. ChemBioChem. 8, 1516-1519. Lenz, T., Bonnist, E., Pljevaljcic, G., Neely, R.K., Dryden, D.T.F., Jones, A.C., Scheidig, A.J. & Weinhold, E. (2007). 2-Aminopurine Flipped into the Active Site of the Adenine-Specific DNA Methyltransferase M.TaqI: Crystal Structures and Time-Resolved Fluorescence. J. Am. Chem. Soc., 129, 6240-6248. Lübben, M., Güldenhaupt, J., Zoltner, M., Deigweiher, K., Haebel, P., Urbanke, C. & Scheidig, A.J. (2007). Sulfate acts as phosphate analog on the monomeric catalytic fragment of the CPx-ATPase CopB from Sulfolobus solfataricus. J. Mol. Biol. 369, 368-385. Schroeder,I. & Hansen,U.P. (2007). Saturation and microsecond gating of current indicate depletion-induced instability of the MaxiK selectivity filter. J. Gen. Physiol. 130, 83-97. Dambe, T., Kühn, A., Brossette, T., Giffhorn, F. & Scheidig, A.J. (2006). 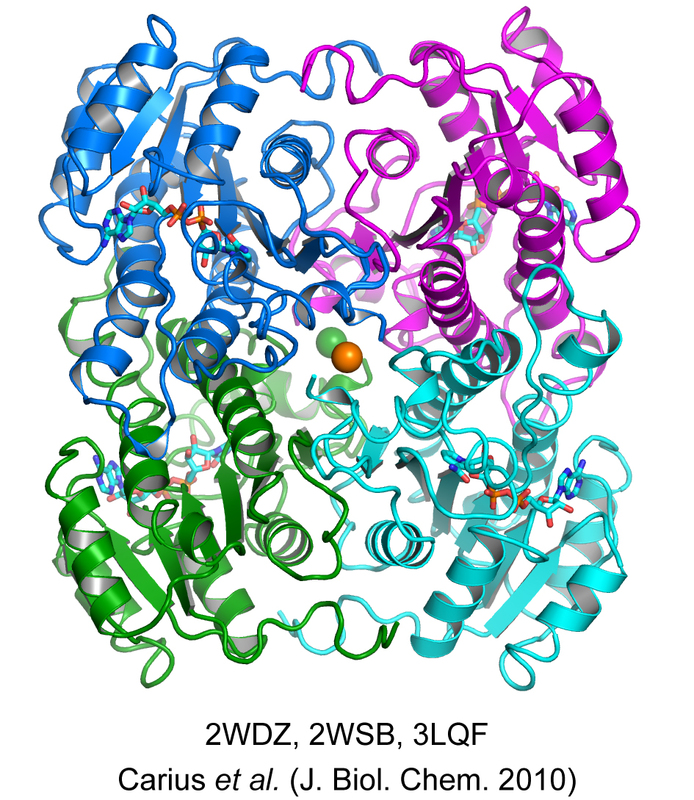 Crystal structure of NADP(H) dependent 1,5-anhydro-D-fructose reductase from Sinorhizobium morelense at 2.2 Å resolution: Construction of a NADH-accepting mutant and its application in rare sugar synthesis. Biochemistry 45, 10030-10042. Klink, B.U., Goody, R.S. & Scheidig. A.J. (2006). A newly designed microspectro-fluorometer for kinetic studies on protein crystals in combination with x-ray diffraction. Biophysical J. 91, 981-992. Dambe, T., Quentmeier, A., Rother, D., Friedrich, C. & Scheidig, A.J. (2005). Structure of the cytochrome complex SoxXA of Paracoccus pantotrophus, a heme enzyme initiating chemotrophic sulfur oxidation.J.Struct. Biol. 152, 229-234. Huber, S. & Scheidig, A.J. (2005). 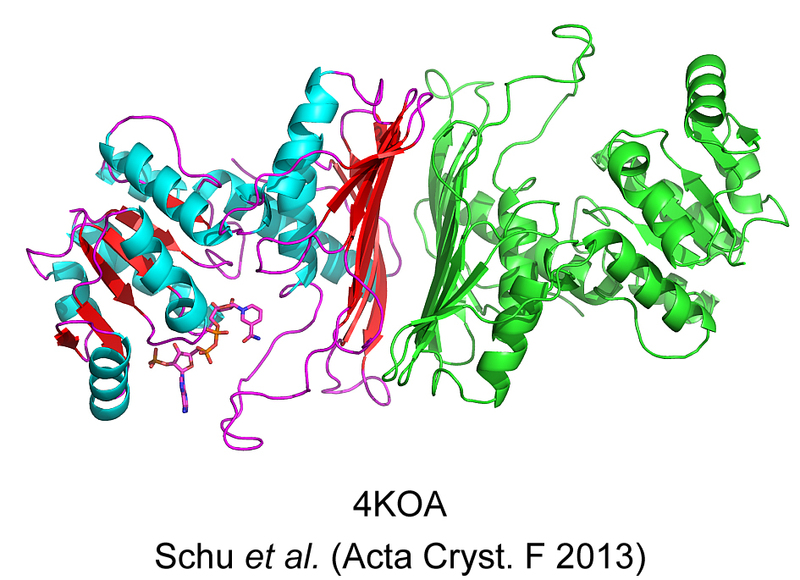 High resolution crystal structures of human Rab4a in its active and inactive conformations. FEBS Lett. 579, 2821–2829. Harjes, S., Bayer, P. & Scheidig, A. J. (2005). 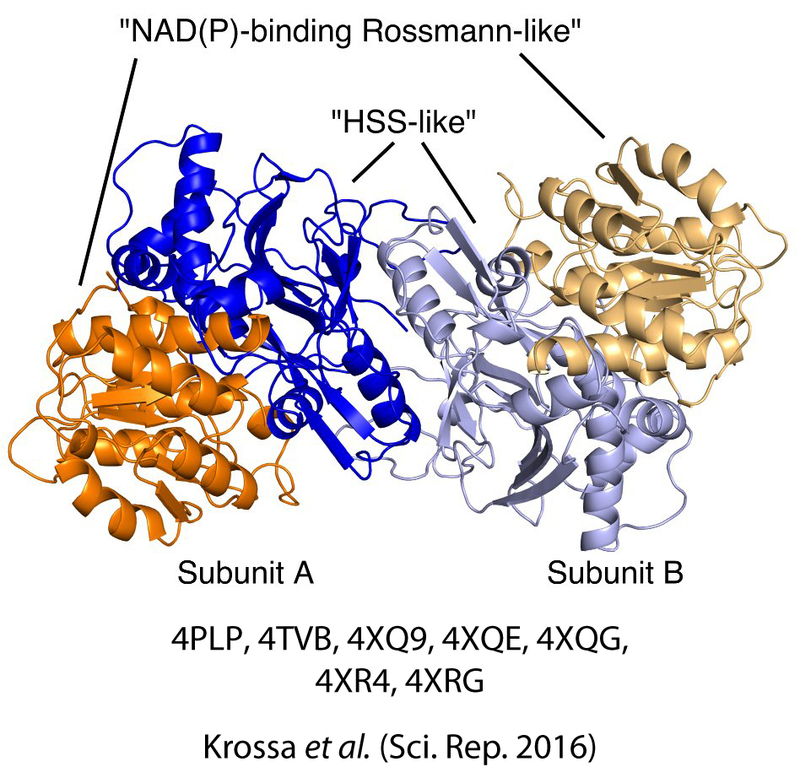 The crystal structure of human PAPS synthetase 1 reveals asymmetry in substrate binding. J.Mol.Biol. 347, 623–635. Deigweiher, K, Drell, Th. L. IV, Prutsch, A., Scheidig, A. J. & Lübben, M. (2004). Expression, isolation, and crystallization of the catalytic domain of CopB, a putative copper transporting ATPase from the thermoacidophilic archaeon sulfolobus solfataricus. J. Bioenerg. Biomemb. 36, 151-159. Harjes, S, Scheidig, A.J., & Bayer, P. (2004). Expression, purification and crystallization of human 3’-phosphoadenosine-5’-phosphosulfate synthetase 1. Acta Cryst., D60, 350-352. Deigweiher, K, Drell, Th. L. IV, Prutsch, A., Scheidig, A.J., & M. Lübben (2004). Expression, isolation, and crystallization of the catalytic domain of CopB, a putative copper transporting ATPase from the thermoacidophilic archaeon sulfolobus solfataricus. J. Bioenerg. Biomemb., 36, 151-159. Friedrich, C. G., Quentmeier, A., Bardischewsky, F., Rother, D., Hellwig, P., Lubitz, W., Dambe, T., & Scheidig, A.J. (2003). The sulfur-oxidizing enzyme system of Paracoccus pantotrophus: protein and reaction. J. Inorg. Biochem., 96,66. Gordeliy, V. I., Labahn, J., Moukhametzianov, R., Efremov, R., Granzin, J., Schlesinger, R., Büldt, G., Savopol, T., Scheidig, A.J., Klare, J.P., & Engelhard, M. (2002). 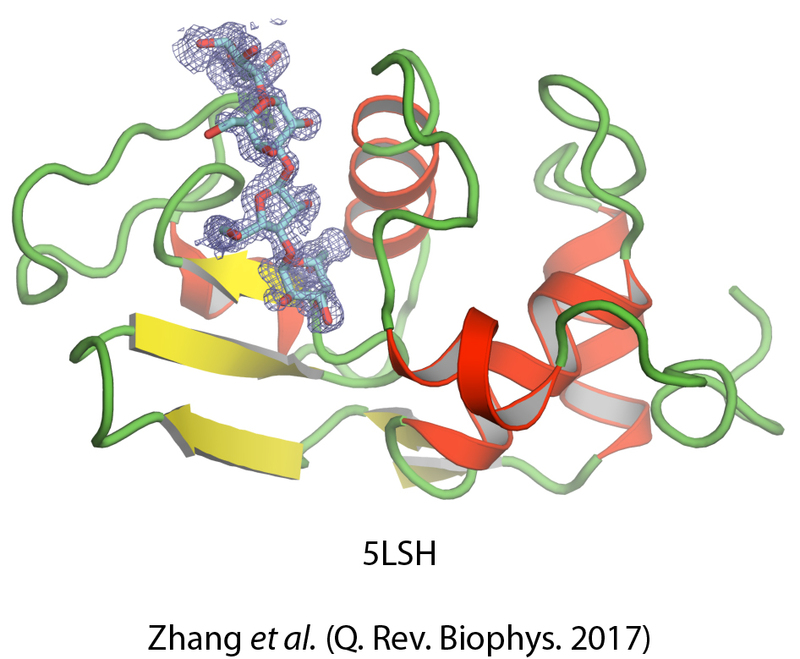 Structure of the sensory rhodopsin II/transducer complex: a molecular basis for transmembrane signalling. Nature, 419, 484-487. Constantinescu, A.-T., Rak, A., Alexandrov, K., Esters, H., Goody, R.S. & Scheidig, A.J. (2002). 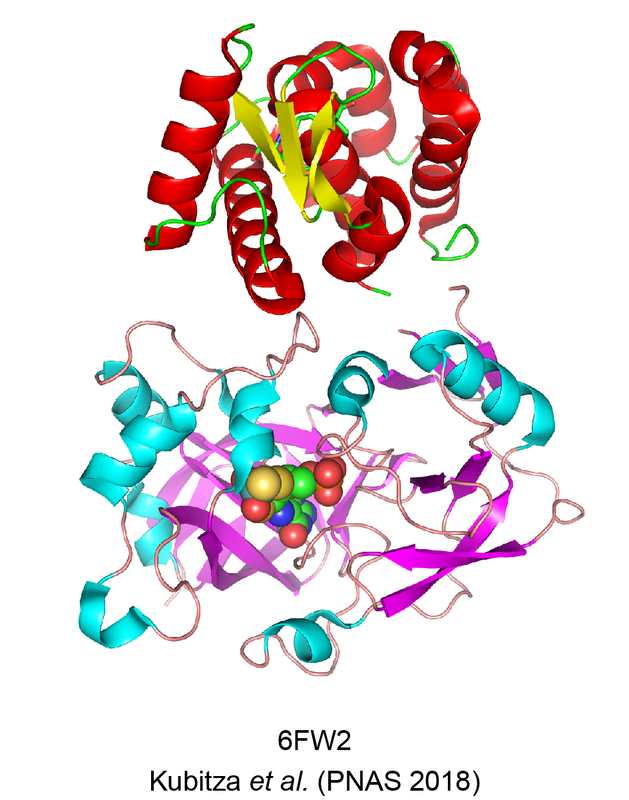 Rab-subfamily-specific regions of Ypt7p are structurally different from other RabGTPases. Structure, 10, 569-579. Szedlacsek, S.E., Aricescu, A.R., Fulga, T.A., Renault, L. & Scheidig, A.J. (2001). Crystal structure of PTP-SL/PTPBR7 catalytic domain at 1.8 Å resolution: implications for MAP kinase regulation. J. Mol. Biol. 311, 557-568. Esters, H., Alexandrov, K., Iakovenko, A., Ivanova, T., Thomae, N.H., Zerial, M., Scheidig, A. J. & Goody, R.S. (2001). Vps9, Rabex-5 and DSS4: Proteins with weak but distinct nucleotide-exchange activities for Rab proteins. J. Mol. Biol. 310, 141-156. Goedecke, K., Pignot, M. Goody, R.S, Scheidig, A.J., & Weinhold, E. (2001). Structure of the N6-adenine DNA methyltransferase M.TaqI in complex with DNA and a cofactor analog. Nature Struc. Biol., 8, 121-125. Thoma, N.H., Iakovenko, A., Owen, D., Scheidig, A.J., Waldmann, H., Goody, R.S. & Alexandrov, K. (2000). 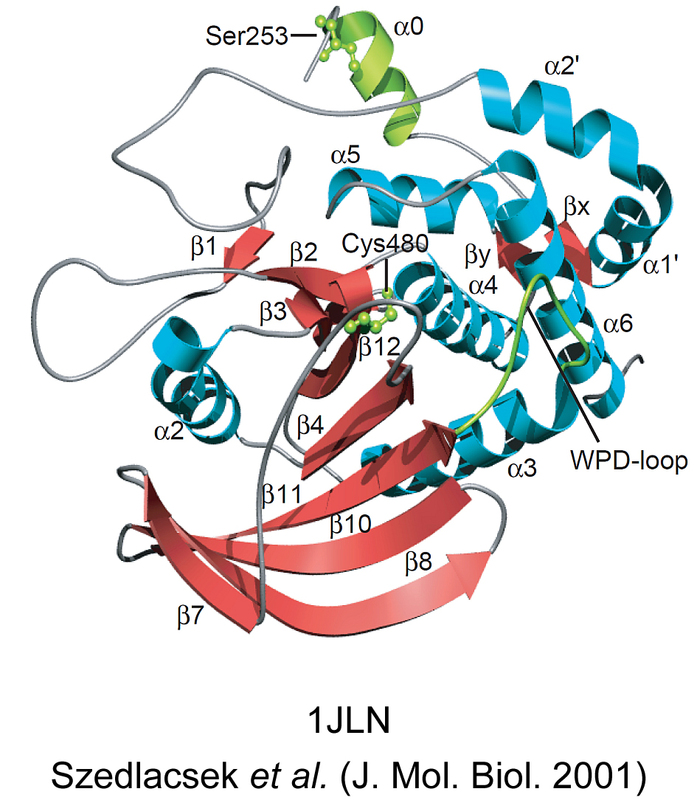 Phosphoisoprenoid Binding Specificity of Geranylgeranyltransferase Type II. Biochemistry 39, 12043-12052. Rak, A., Fedorov, R., Alexandrov, K., Albert, S., Goody, R.S., Gallwitz, D. & Scheidig, A.J. (2000). The crystal structure of the GAP domain of Gyp1p: first insights into the interaction and GTPase activation of Ypt/Rab proteins. EMBO J. 19, 5105-5113. Kuhl, H., Kruip, J., Seidler, A., Krieger-Liszkay, A., Bünker, M., Bald, D., Scheidig, A.J. & Rögner, M. (2000). Toward structural determination of the water-splitting enzyme: Purification, crystallization and preliminary crystallographic studies of photosystem II from a thermophilic cyanobacterium. J. Biol. Chem. 275, 20652-20659. Ester, H., Alexandrov, K., Constantinescu, A.-T., Goody, R. S. & Scheidig, A. J. (2000). High-resolution crystal structure of S. cerevisiae Ypt51(ΔC15)—GppNHp, a small GTP-binding protein involved in regulation of endocytosis. J. Mol. Biol, 298, 111-121. Gruen, M., Becker, Ch., Beste, A., Reinstein, J., Scheidig, A. J. & Goody, R. S. (1999). 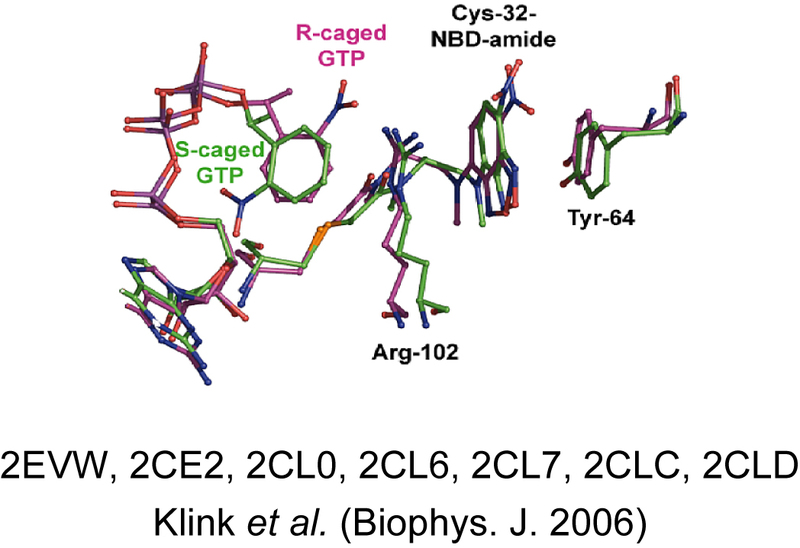 2’Halo-ATP and –GTP analogues: Rational phasing tools for protein crystallography. Protein Science 8, 2524-2528. Goody, R.S., Reinstein, J., Scheidig, A.J. & Schlichting, I. (1999). Die vierte Dimension in der makromolekularen Strukturforschung. Dortmunder UNI Report – Sonderheft 5, 40-45. Prinz, H., Lavie, A., Scheidig, A. J., Spangenberg, O. & Konrad, M. (1999). Binding of nucleotides to guanylate kinase, ras p21 and nucleoside diphosphate kinase studied by nano-electrospray mass spectrometry. J. Biol. Chem. 274, 35337-35342. Scheidig, A.J., Burmester, Ch. & Goody, R. S. (1999). The pre-hydrolysis state of p21ras in complex with GTP: new insights into the role of water molecules in the GTP hydrolysis reaction of ras-like proteins.Structure 7, 1311-1324. Alexandrov, K., Simon, I., Yurchenko, Y., Iakovenko, A., Scheidig, A. J. & Goody, R. S. (1999). 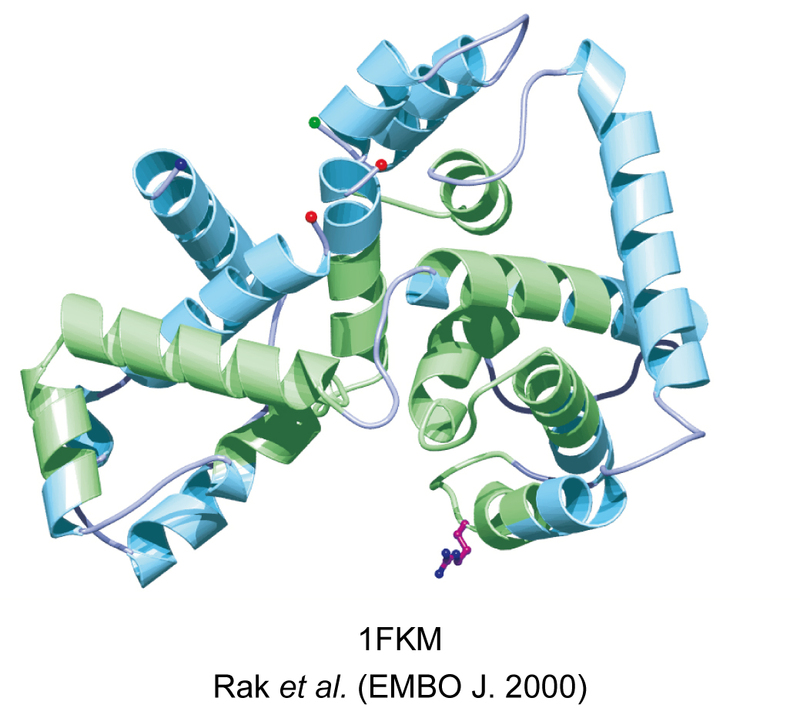 Characterization of the ternary complex between Rab7, REP-1 and Rab geranylgeranyl transferase. Eur. J. Biochem. 265, 160-170. Owen, D., Alexandrov, K., Rostkova, E., Scheidig, A. J., Goody, R. S. & Waldmann, H. (1999). Chemo-enzymatic synthesis of fluorescent Rab 7 proteins: Tools to study vesicular trafficking in cells. Angew. Chem. Int. Ed. 38, 509-512 . Chemoenzymatische Synthese fluoreszierender Rab-7-Proteine: Werkzeuge zum Studium des vesikulären Transports in Zellen. Angew. Chem. 111, 570-573. Grün, M., Becker, C., Beste, A., Siethoff, C., Scheidig, A.J. and Goody, R.S. (1999). Synthesis of 2’-iodo and 2’-bromo ATP and GTP analogues as universal phasing tools for X-ray crystallography of ATP- and GTP-binding proteins. Nucleosides Nucleodides 18, 137-151. Jones, A.T., Mills,I.G., Scheidig,A.J., Alexandrov,K. and Clague, M. J. (1998). Inhibition of endosome fusion by wortmannin persists in the presence of activated rab5. Mol. Biol. Cell. 9, 323-332. Alexandrov, K., Simon, I., Iakaovenko, A., Holz, B., Goody, R.S. and Scheidig, A.J. (1998). Moderate discrimination of Rep-1 between Rab7.GDP and Rab7.GTP arises from a difference of an order of magnitude in dissociation rates. FEBS Letters 425, 460-464. Cepus, V., Scheidig, A.J., Goody, R.S. & Gerwert, K. (1998). Time-resolved FTIR studies of the GTPase reaction of H-ras p21 reveal a key role for the beta-phosphate. Biochemistry 37, 10263-10271. Scheidig, A. J., Hynes, T. R., Pelletier, L. A., Wells, J. A. and Kossiakoff, A. A. (1997). Crystal structures of bovine chymotrypsin and trypsin complexes to the inhibitor domain of Alzheimer's amyloid ß-protein precursor (APPI) and basic pancreatic trypsin inhibitor (BPTI): examples of binding modes of non-optimum P1 residues. Protein Science 6, 1806-1824. Wöhrl, B. M., Krebs, R., Thrall, S. H., Le Grice, S. F. J., Scheidig, A. J. & Goody, R. S. (1997). Kinetic analysis of four HIV-1 reverse transcriptase enzymes mutated in the primer grip region of p66. Implications for DNA synthesis and dimerization. J. Biol. Chem. 272, 17581-17587. Scheidig, A. J., Franken, S. M., Corrie, J. E. T., Reid, G. P., Wittinghofer, A. Pai, E. F. & Goody, R. S. (1995). 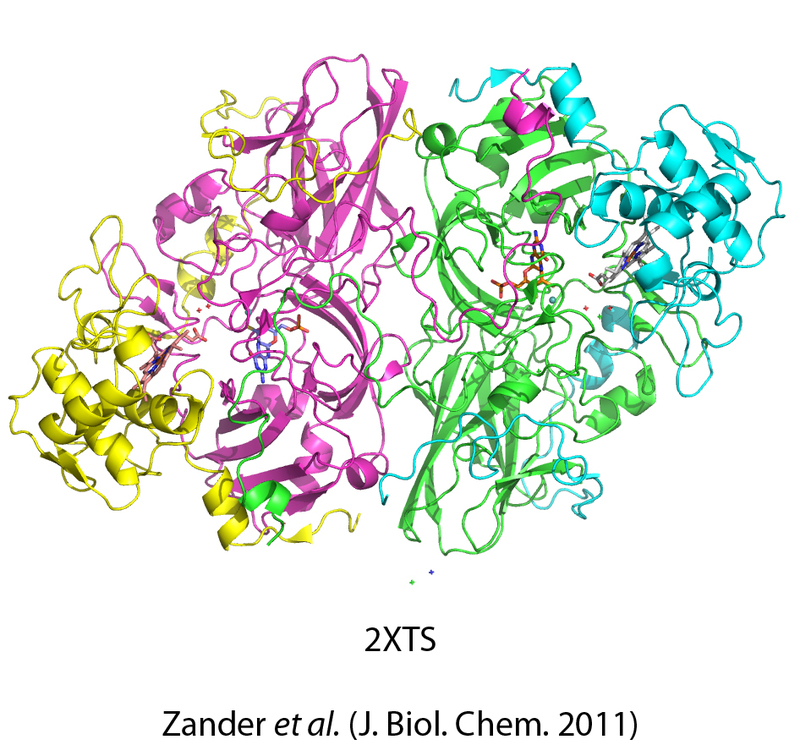 X-ray crystal structure analysis of the catalytic domain of the oncogene product p21H-ras complexed with caged GTP and mant dGppNHp. J. Mol. Biol., 253, 132-150. Scheidig, A. J. (1995). Time-resolved crystallography on p21H-ras. In Time-Resolved Electron and X-Ray Diffraction, Peter M. Rentzepis, Editor, Proc. SPIE 2521, 278-289. Gerwert, K., Cepus, V., Scheidig, A. & Goody, R. (1994). Time-resolved FTIR studies of H-ras p21 GTPase activity. In: Proceedings of the Time-resolved Vibrational Spectroscopy Congress, 185-187, Springer Verlag, Berlin Heidelberg. Scheidig, A. J., Sanchez-Llorente, A., Lautwein, A., Pai, E. F., Corrie, J. E. T., Reid, G. P., Wittinghofer, A., Goody, R. S. (1994). Crystallographic studies on p21H-ras using the synchrotron Laue method: improvement of crystal quality and monitoring of the GTPase reaction at different time points. Acta Crystallogr., Ser. D, 50, 512-520. Wittinghofer, A., Franken, S. M., Scheidig, A. J., Rensland, H., Lautwein, A., Pai, E. F. & Goody, R. S. (1993). Three-dimensional structure and properties of wild-type and mutant H-ras-encoded p21. Ciba Foundation Symposium, 176, 6-27. Wittinghofer, A., Franken, S. M., Scheidig, A. J., Rensland, H., Lautwein, A., Pai, E. F. & Goody, R. S. (1993). Three-dimensional structure and properties of wild-type and mutant H-ras-encoded p21. In: The GTPase superfamily, edited by Marsh J. M. and Goode, J., John Wiley and Sons, pp. 6-27. Franken, S. M., Scheidig, A. J., Krengel, U., Rensland, H., Lautwein, A., Scheffzek, K., Geyer, M., Goody, R. S., Kalbitzer, H.-R., Pai, E. F. and Wittinghofer, A. (1993). Three-dimensional structures and properties of a transforming and a nontransforming Glycine-12 mutant of p21H-ras. Biochemistry, 32, 8411-8420. Scheidig, A., Pai, E. F., Schlichting, I., Corrie, J. E. T., Reid, G. P., Wittinghofer, A. & Goody, R. S. (1992). Time resolved crystallography on H-ras p21. Phil. Trans. R. Soc. Lond., Ser. A, 340, 263-272. Goody, R. S, Pai, E. F., Schlichting, I., Rensland, H., Scheidig, A., Franken, S. & Wittinghofer, A. (1992). 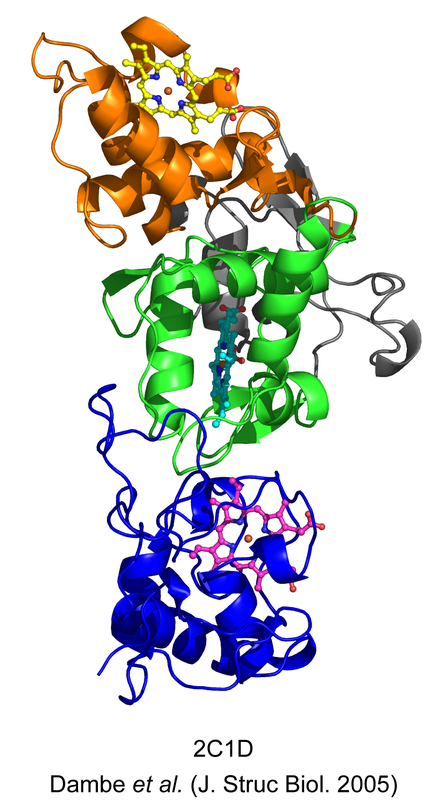 Studies on the structure and mechanism of H-ras p21. Phil. Trans. R. Soc. Lond. B, 336, 3-11. Krengel, U., Schlichting, I., Scheidig, A. J., Frech, M., John, J., Lautwein, A., Wittinghofer, A., Kabsch, W. & Pai, E. F. (1991). The three-dimensioanl structure of p21 in the catalytically active conformation and analysis of oncogenic mutants. NATO ASI Ser., Ser. A (Superfamily ras-Relat. Genes), 183-193.